SEOUL: South Korea said on Tuesday it will not seek to renegotiate a 2015 deal with Japan aimed at resolving the sensitive issue of “comfort women” forced to work in Japan’s wartime brothels. Japan and South Korea, who share a bitter history that includes Japan’s 1910-45 colonization, are central to global efforts to rein in North Korea’s nuclear and missile programs. North Korea has been ramping up its missile and nuclear tests in defiance of pressure from the United States, the main ally of both Japan and South Korea, and United Nations Security Council resolutions. South Korea announced its decision despite a conclusion late last month by a public-private panel, appointed by the foreign ministry in Seoul, that the 2015 accord had failed to meet the women’s needs. Japan’s Chief Cabinet Secretary Yoshihide Suga said ahead of the announcement that the deal was made after formal negotiations and was endorsed by the leaders of the two countries. He called for the agreement to be “put into action”. South Korea’s Foreign Minister Kang Kyung-wha said it was “undeniable” the two governments formally reached the settlement, under which Japan apologized to victims and provided 1 billion yen ($8.8 million) to a fund to support them. Seoul will set aside its own budget to bankroll the fund and consult with Tokyo on what to do with the 1 billion yen it had given, she said. “The 2015 agreement, which failed to reflect the victims’ opinions, cannot be a genuine solution to the issue of comfort women”, Kang told a news conference. “Our government will not demand a renegotiation, but hopes that Japan will accept the truth as it is, according to international standards, and continue efforts to help the victims regain honour and dignity and heal wounds in their hearts,” she said. The victims want Japan to take legal responsibility and provide due compensation. 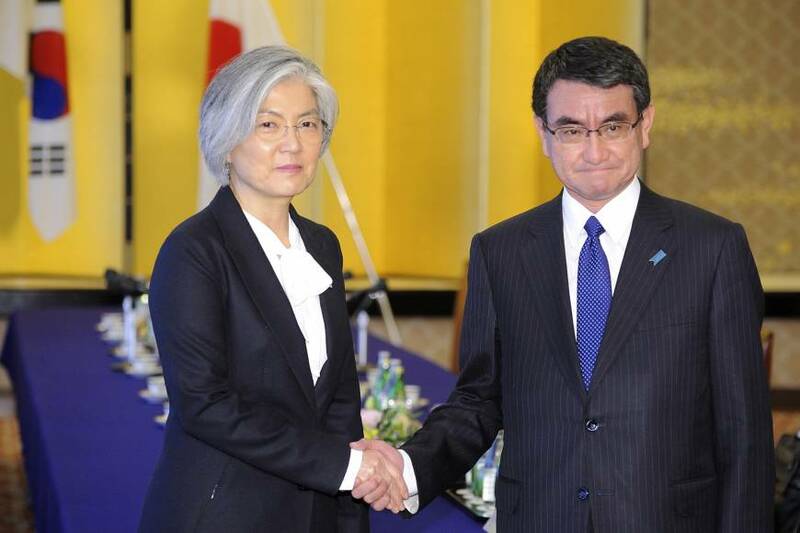 Japanese Foreign Minister Taro Kono said on Tuesday that Tokyo could not accept South Korea’s demands for additional measures regarding a 2015 bilateral agreement on the touchy matter of Korean women forced to work in Japanese wartime brothels. Under the agreement, Japan apologized to victims and provided 1 billion yen ($8.8 million) to a fund to support them.